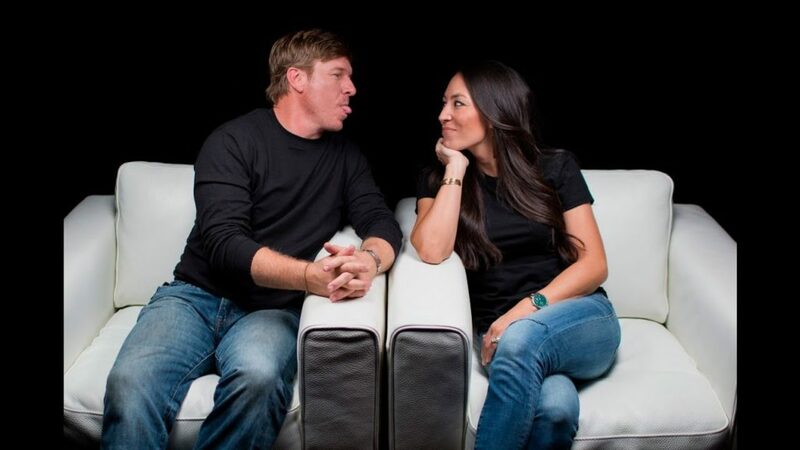 It’s been 14 years since Hollywood’s most adorable couple Chip and Joanna Gaines tied the knot on March 31, 2003. Their love story is not one you’ll forget in a hurry. Chip fell in love with Jo just after seeing a family picture her dad had hung in the store where she worked at the time. Chip says their marriage is not always a bed of roses, but anyone who has seen these two together will find that very hard to believe. They make the entire marriage journey look like a walk in the park. After their marriage, these two amazing people have gone on to amass a ton of wealth and prosperity in their individual and joint endeavors. It is no news that before they became big time stars on HGTV, they were really successful small business owners in their hometown of Waco, Texas. Chip and Joanna started flipping houses together within a month of their wedding and later began to focus on renovations, this was due to the changing housing market. At first, it took a lot of trial and error to get things right. One of their earliest “fixer uppers” was their first house together, as a newlywed couple. Now they own Magnolia Silos, a trio of chic home goods boutiques that have a presence in Waco their hometown and also online. Magnolia Homes, their high-end home renovation business; and even Magnolia Realty, their very own real estate agency selling homes in the hot cities of east Texas: Dallas, Austin, and San Antonio. In addition to the Magnolia trio, Chip and Joanna own the Magnolia house, an exclusive vacation rental where a night costs as much as $695 and more and is mostly booked six months to one year ahead. They publish a quarterly home improvement magazine which according to statistics has as much as 700,000 subscribers who pay $20 yearly. In addition to all of that, they own a line of premium interior paints which sell for around $46 a gallon, so there’s really no need to get the paint elsewhere if they are fixing your home. 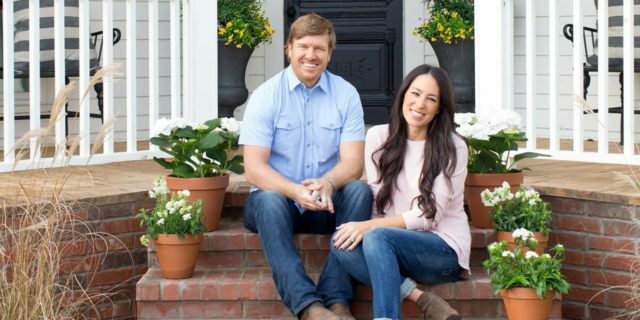 This and the fact that the couple make over $30,000 for each episode of Fixer upper, Chip and Jonna Gaines are said to be worth a combined fortune of $5 million. No marriage is a bed of roses! Chip and Joanna have certainly had their fair share of the rough times, but unlike so many other celebrity couples, they always find a way to weather the storm and hold on to each other and the beautiful family they have. “Nothing has come easy. We’ve worked so hard to have this beautiful family and this farm—it really does seem like the American dream you heard about growing up. Like they say, there is no star without a scandal. No spotlight without controversy right? Well other than the usual divorce saga, Chip and Jo have had a scandal or two trailing after their very busy and fabulous lives. Sometime in April, a lawsuit created a scandal after Chip’s former Magnolia Real Estate partners sued him to the tune of $1 million. They claimed Chip made them sell their shares to him at a dollar a dime and did not discuss the future plans he had with them before the sale. However, Chip and his lawyers dismissed the claims calling it meritless. Chip and Jo got married in 2003 and it has been a roller ride since then. The couple are blessed with four beautiful kids and would not mind having a fifth. The kids include Drake (11), Ella Rose (9), Duke (8), and Emmie Kay (7). Talk about juggling full-time celebrity careers and being parents. It may not be easy, but Chip and Jo have managed to keep a big part of their children’s lives away from the media and this seems to have worked marvellously well in giving the kids a stable upbringing. The major way we have been able to keep tabs on what’s happening with the Gaines kids is by following their parents Twitter and Instagram handles. What’s more, we are never disappointed because they never fail to put up some interesting detail that tells us what the kids are up to. When it comes to good parenting, you have got to give it to the Gaines, they rock. First, they famously do not have televisions on their 40-acre farm. Its wildlife and love of animals all the way. Also, the kids are not allowed to own a cellphone until they go to college. In a big way, this has helped the kids grow very well in trying their hands out at a number of things like sewing, baking, designing, gardening etc for the girls and football, ranching, hiking, construction etc for the boys. Chip and Jo’s method of bringing up the kids has had a lot of influence as a lot of their fans never stop pouring praises on how well behaved the kids are and how they are attuned to their parent’s every need including being obedient and following instructions at all times. To enable them to be around to raise their kids, Chip and Joanna Gaines have made sure that they do not film farther than a 40-mile radius of their home. This they say, enables them to be around to raise their kids.